The National Guardianship Network, a group committed to promoting good practices among guardians, has recently launched a website dedicated to telling the stories of the work guardians do to protect their wards and keeping its members updated on state guardianship laws. Learn more about the site below, as well as the ways that a forensic genealogist can assist someone who has been appointed as a guardian. Guardianship is a legal relationship where an individual is appointed by a court to make personal, legal, and/or financial decisions for someone the court has determined cannot safely or responsibly make those decisions for themselves. This lost capacity for decision-making may be due to a developmental disability, mental illness, or degenerative disease. Guardians are often entrusted with a great deal of control over the incapacitated person’s finances and living situation, and they are expected to make decisions with their ward’s best interests in mind. Unfortunately, when outlier stories of guardians taking advantage of—or even defrauding—their wards make the news, the profession of guardianship can suffer unfair reputational damage. The National Guardianship Network (NGN) recently launched a new website aimed at telling the other side of the story of guardianship. The NGN is an umbrella organization of twelve different associations committed to improving the standards and practices of guardianship. Member organizations include the American Bar Association Commission on Law and Aging, the Alzheimer’s Association, the Center for Guardianship Certification, and the National Guardianship Association. The NGN’s new site, GuardianshipToday.com, offers readers an overview of the latest news on guardianship, including attempts by politicians to reform laws on guardianship and stories of individuals who have taken on the role of guardian and improved their wards’ lives in the process. With few, but noteworthy, exceptions, guardians work hard to provide the best outcomes possible for their wards, many of whom have strained or nonexistent relationships with their extended families. Guardians are often tasked with locating these relatives, either while their ward is still living, or while in the process of settling their estate. These searches can be extremely time-consuming for those without the experience and tools necessary to conduct a thorough search. Despite the challenging nature of relative and heir location, some guardians have been criticized for failing to exercise reasonable due diligence to locate wards’ family members. Many guardians have turned to our team of seasoned forensic genealogists for help in locating their wards’ relatives, allowing them to feel confident that the search will be thoroughly conducted by an experienced professional while they focus on their remaining responsibilities. 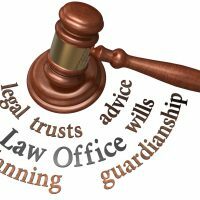 If you have been appointed as a guardian, find expert help in locating heirs and relatives of your ward by contacting the forensic genealogists at Von Langen LLC for help with searches both here in the US and abroad, at 800-525-7722.